Our onsite vans are spacious and open plan. 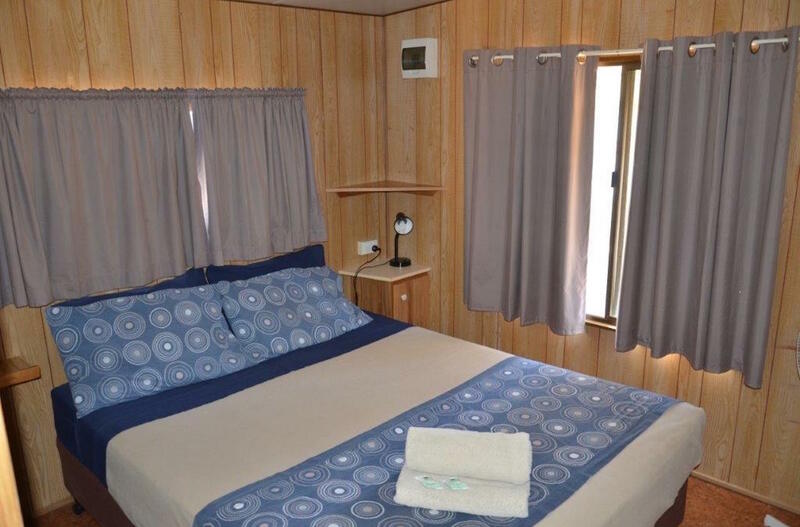 They are pet friendly and feature a kitchen that is fully equipped with a large fridge, crockery, cutlery, oven, gas stovetop, microwave, toaster, kettle and complimentary tea and coffee. Most vans accommodate up to 4 people. One van can accommodate up to 6 people (with a maximum of 4 adults) – please phone our office direct to book this particular van. The standard bedding configuration is a queen sized bed plus 2 single beds. All bedding and linen is supplied. These vans do not have their own ensuite bathroom however our spotless amenities blocks are located close by.